2017 was a record breaking year for tourism to Lake Garda with over 24 million visitors, that’s double the amount of visitors to Sardinia and represents 2% of Italy’s GDP. The Veronese Riviera boasted the highest number of visitors with 13 million, probably due to it’s high amount of large campsites and it’s proximity to Lake Garda’s theme parks and other popular attractions. There were 8 million visitors to the Brescian Riviera, the balance visiting the Trentino waters where the popular resort of Riva del Garda is located. The 2018 season has started strongly and is expected to be another record breaking year. Lake Garda is Italy’s largest lake with a coastline that stretches over 150km through three territories; Lombardy in the south and west, Veneto in the east and the Trentino-South Tyrol region to the north. Needless to say the landscape, culture and traditions around the lake offer a diverse and broad experience for visitors. There are golf courses, marinas, beaches, iconic towns, theme parks and cultural centres all is protected by the dramatic landscapes of Monte Baldo, Alto Garda Park, La Rocca di Manerba and in the south the rolling hills of the Morainic Hills Park. If you arrived at your resort and went no further than a few kilometers in each direction, there would be plenty to see and do to fill a two week holiday. 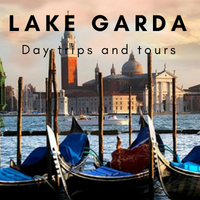 But many visitors come to the lake and want to take in as much as possible, north, south, east and west, Riva, Sirmione, Salò and all the other historic towns that nestle on the shores of Lake Garda. Navigating Lake Garda with it’s diverse landscape and numerable towns could be a daunting prospect, but it doesn’t need to be. All of the towns are linked by a single road that goes all the way round the lake, the Gardesana. Driving in Lake Garda around the Gardesana will give you an unforgettable experience, although in the high season it may be an experience you want to forget as the traffic can get quite bad. Luckily for those who want to leave the car at the hotel, and especially for those who want to be car free in the region, there is another way to get to see all of the lakeside towns…….the Lake Garda Ferry service. north south, east and west. There are also circular routes that allow passenger to visit many towns in a single trip. The fleet carried over 2.5 million passengers (including 50 thousand cyclists) in 2017 and that was without it’s flagship boat ‘Tonale’. This season a fully refitted Tonale is back on the water with a capacity to transport 1000 passengers. Over 100 thousand cars were transported between Torri and Toscolano on the car ferry service. One of the most popular pages on the Love Lake Garda website is the Lake Garda Ferries page. It is here that you can find the summer timetable which came into force on June 1st and runs through to October 7th. Navigarda have produced a smartphone app with the timetables and lots more information including resorts info, fare prices, public notices and charter costs. You can download the App by clicking the images below.